Time to test how well you know the history of the French Grand Prix. Simply choose one answer to each of the following 12 questions, and press "submit" to get the results. Have fun! 1. What was the last wet French GP? 2. 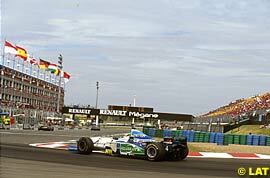 Only one current F1 driver won a race at Magny Cours in F3000, who is it? 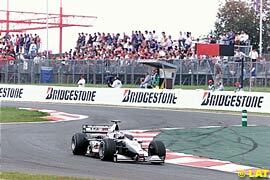 3. Who destroyed the McLaren pit-stand when he crashed in the last corner in 1994? 4. Which driver set the fastest race lap in the last 3 French Grands Prix? 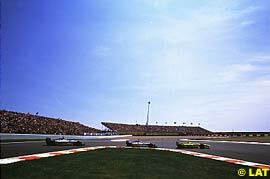 5. Who made a comeback to F1 in the 1994 French Grand Prix? 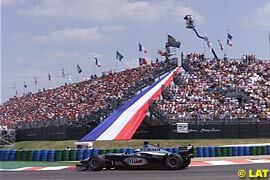 6. Who retired on the warmup lap from the 1996 French Grand Prix? 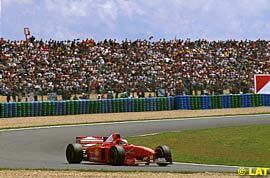 7. Who drove his 200th Grand Prix in the 1994 French GP?